Speedmachine 2018 marks the start of a new movement in automotive festivals, built around the British leg of the FIA World Rallycross Championship presented by Monster Energy. In a first of its kind event, fans can experience world championship racing, live music, eGaming, drifting, historic car displays, on track action PLUS the very best street food, as well as the chance to get behind the wheel on the Silverstone track. It’s a weekend not to miss! 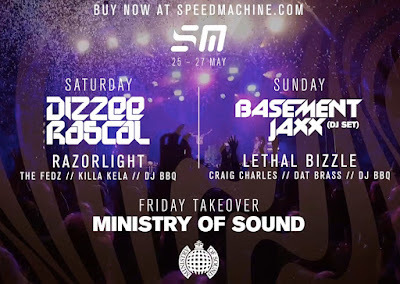 the world championship weekend will feature a full schedule of eclectic evening entertainment: from ‘Godfathers of Grime’ Dizzee Rascal and Lethal Bizzle to indie chart favourites Razorlight, funk and soul DJ Craig Charles and era-defining DJ duo Basement Jaxx (DJ Set), topped off with DJs from the iconic Ministry of Sound. Not only that, but Killa Kela, The Fedz, Dat Brass and DJ BBQ will all contribute to the fantastic bank holiday vibes. The British round of the FIA World Rallycross Championship is moving to its new home - a purpose-built permanent track using the famous Stowe complex at the legendary Silverstone. The three-day event, which takes place over the bank holiday weekend of 25 - 27 May 2018, will be at the heart of the Speedmachine Festival. World RX is one of only four FIA World Championships and consists of head-to-head short, sharp racing on mixed surfaces (dirt and asphalt). High profile drivers are equipped with Supercars that have the ability to accelerate from 0-60mph in less than two seconds - faster than a Formula One car. Race meetings include a number of action-packed qualifying heats with the most successful drivers progressing through to the finals. 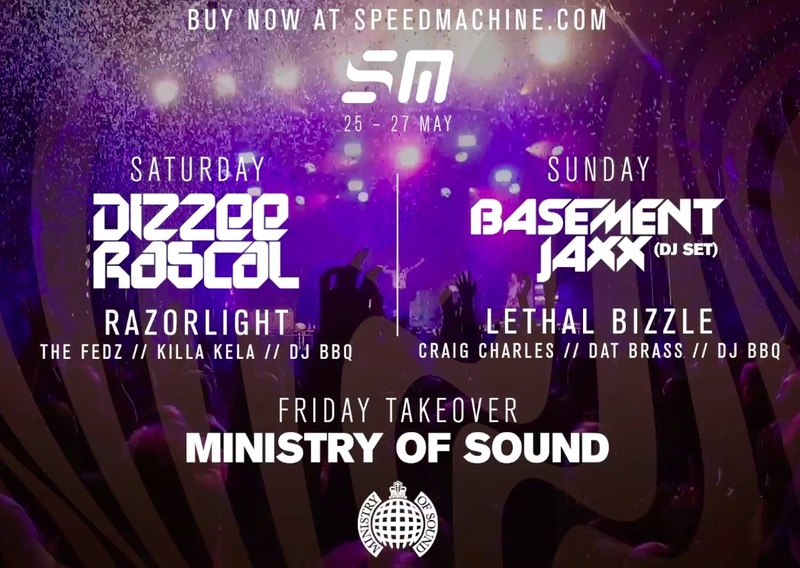 This year’s first ever Speedmachine has signed a partnership with music giant Ministry of Sound Group (MOS) to form part of the weekend’s music entertainment with a Friday night takeover and throughout Saturday and Sunday, MOS DJs will perform in the VIP areas. All music will take place after the track action has ended, guaranteeing no action is missed. Several more acts and activities will be revealed in the upcoming weeks. Experience overdrive at this first of its kind driving festival. Overload the senses and enjoy a bank holiday weekend of world championship racing, world-class live music, behind the wheel action, eGaming, street food and much, much more.